Certified nursing assistant classes in Georgia are the stepping stones which will lead you to get your certification to work in the state. They are a necessary process which you will need to take if you would like to be listed in the state’s nurse aide registry and be allowed to work in the state. The growing need and demand for health workers in the form of nursing assistants has increased due to the aging population. One can expect a steady rise of this demand for the coming years so those who are aspiring to work can expect employment waiting for them by the time that they finish the training program and pass the examination. What Are the Job duties of a CNA in Georgia? A nursing assistant works under the supervision of a registered nurse or a physician. They can be found in hospitals, nursing homes and facilities, and even in private homes assisting those who are not able to take care of themselves. They usually take the direct role of taking care of patients in the form of grooming, feeding, bathing and dressing them especially those who are already bed-ridden. They also help in the documentation of their patient’s improvement, recording their vital signs and any change that may occur due to medication or food intake. 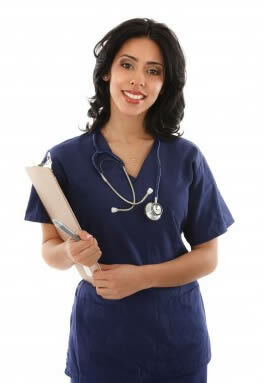 What Are the Training Requirements of a Certified Nurse Aide in GA? CNA training should be given by a facility or training school which has been approved by the Georgia Health Partnership. This department is responsible for the approval of training facilities. Issuing of licenses or certificates to nursing assistants is under the National Nurse Aide Assessment program. The required hours of training is at least 96 hours of classroom and clinical training done at a licensed nursing facility. You can read more about the most recent nursing assistant certification requirements in Georgia at his link. There are about 280 facilities and colleges which offer certified nurse aide training in the state of Georgia. The average cost of training is about $600 to $800 for the 96-hour course. The training can take about 2 to 8 weeks to finish. There is a course being offered by the American Red Cross which costs about $670 and takes about 3 weeks. This can be found in Calhoun, Georgia where the American Red Cross Georgia chapter can be found. After one completes the required training it is necessary to schedule an examination for the certification. This two part exam will include a skills based test and an oral or written test. Those who complete both parts are added to the GA Nurse Aide Registry for a period of two years. What Are Some of The Popular Nursing Assistant Schools in Georgia? The following are some of the schools which offer certified nursing assistant training courses: AAC Training Services, Assured and Associates Personal Care of Georgia, Athens Technical College, Jackson County Comprehensive High School, Riverdale High School Nurse Aide Training Course, Patient Care Techniques, Marietta Health and Rehabilitation Center and Bryant Health Care Center. There is also the Cobb Certified Nurse Assisting School, Metro Medical Training Center, Moultrie Technical College, Elite Medical Training Center, and Fairburn Health Care Center. How Much Money Does a CNA Earn in Georgia? A nursing assistant’s salary in Georgia can range from $16,640 annually, up to $21,550. The hourly rate can range from $9.94 to $10.36 depending on your location, education, experience and type of employer. Currently, there are about 50,000 certified nursing assistants in the state of Georgia. One can find employment as a CNA in nursing homes, hospitals, and nursing facilities which can found around Georgia.